France in London | Can culture be the solution to the financial crisis? Can culture be the solution to the financial crisis? Both in France and in the UK the assessment is the same: culture is going extremely well and even beats records. Surprise surprise, credit crunch is not demolishing everything in its path! Sold out exhibitions, concerts and theatre plays, full cinemas…: success in the face of despair! What if culture was the solution to our ill health? What if culture could not only make us feel better but could also in the process reflate the economy? Wouldn't it be fantastic? In 2008 in France, 25.7 million people went to national museums, that means a 2 per cent rise on the previous year. 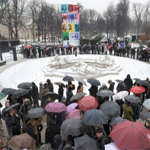 For instance, in Paris, people have been queuing for 5 hours to see the Picasso exhibition at the Grand Palais which had been sold out for 72 hours running! The Musée du Louvre admits that 2008 was one of its greatest years ever... 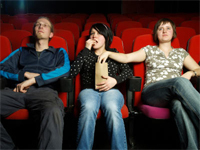 The same observation was made for theatres: The Comédie Française claims that ticket sales had never been so high. With nearly 189 million admissions within a year cinema turns out to be the favourite national hobby. This was a 6.2per cent increase on 2008. 2009 is not to be outdone, with 15 million tickets sold only in January, an increase of 3.8 per cent in comparison with January 2008. So 2008-2009, the year of culture? Whatever it might be, the UK is going through the same phenomenon. Concerning cinema, last summer’s admissions rose to 1969’s record level. It is true that some blockbusters such as Bienvenue chez les Ch’tis in France, The Dark Knight, Quantum of Solace or Mamma Mia have pushed the box office up but , still, generally speaking, culture has the wind in its sails! So what is going on? 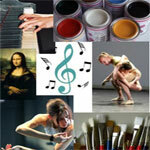 Why this sudden passion for arts? This is, of course, quite a common thing during rough times such as wars or financial crisis. People need to be distracted from gloom and doom and turn themselves towards affordable leisure activities. And what can offer oneself a cheaper escape than cinema? So culture breaks out from crisis. And what if it could even be the response to crisis, the sector that will reflate economic growth? That is one of Nicolas Sarkozy’s objectives. In January, whilst he was launching the “Conseil de la Creation Artistique” ( “Council of Artistic Creation”), a kind of second Ministry of Culture to encourage creation, he said: “ I want culture to be our response to economic crisis.” And how could it be? Culture is not famous for being bankable… And yet, Nicolas Sarkozy seems to think that an ambitious cultural policy could increase tourism and so become extremely valuable. Looking back at past history, this is something that could potentially work. For example after the Great Depression, with the New Deal, Franklin D. Roosevelt invested massively in culture. And when I say massively, I mean recruiting 5 300 painters to decorate public places and 16,000 musicians to give concerts across the country... Well, that's not the case at all in France or even in the UK where states are less and less involved in culture. Museums and galleries have had to count on their own funds or private investors/sponsors/benefactors. Therefore, even if people crave for culture, it will soon be short of funds to give it to them. Firms, and especially little ones, will no longer be able to invest in patronage. On the other hand, if they do so, it could be really detrimental to their reputation or seen as a "waste of money". So, culture is probably going to be hit as well even if later. Let's hope things get better before it happens! Don't worry, even if there are bad times ahead, as always, the show must go on!